Kaoteon are a extreme metal band from the Middle East. The band formed 20 years ago in Beirut, Lebanon and released their debut album Veni Vidi Vomui in 2011 via Osmose Productions. 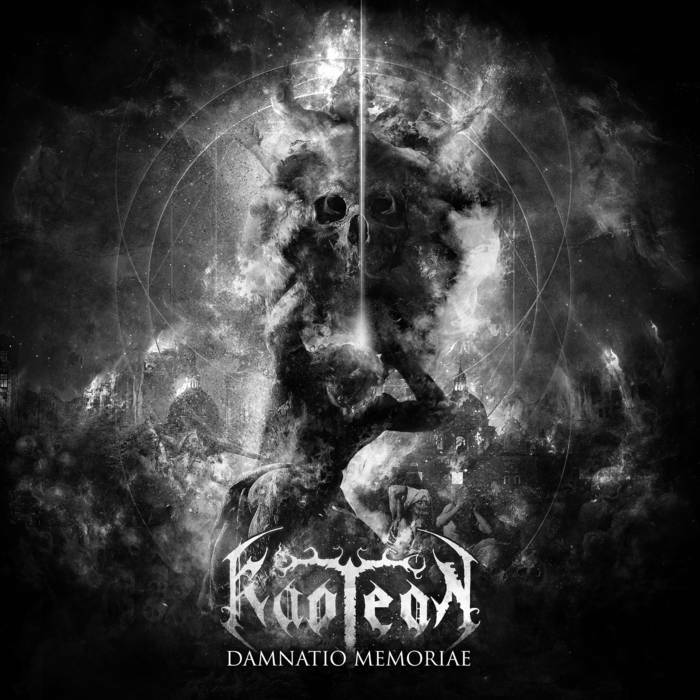 Last month, they self released their latest album, Damnatio Memoriae. The scathing release features Fredrik Widigs (Marduk) and Linus Klausenitzer (Obscura and Alkaloid) on on Drums and Bass respectively. I spoke to the band about Damnatio Memoriae and being a metal band in the Middle East for the past two decades. Trendcrusher: You released your second album Damnatio Memoriae a couple months ago. How has the response to it been so far? TC: The album has an aggressive sound. What is the inspiration behind it? AK: The riffs are the soundtrack of this Chaotic Aeon that we live in today where war, famine, racism, genocides and radicalism are overlooked and supported indirectly by the same people who claim to oppose such concepts. Musically, inspirations are built through the years and they are countless to measure. TC: What was the writing process? Do you meet to come up with ideas or do you each separately work on parts and then bring them together? What was the recording process? How long did it take? AK: My engine of creation is always at work and it is behind this skull that everything starts to take place, then I work with other musicians on their parts by exchanging ideas to explore how we can make the initial ideas sound better and at the final stage Walid lays his screams and growls on the top of it all. TC: You decided to self released the album instead of through a label. What is the reason behind this? Walid WolfLust: We had all the necessary tool at hand to self-release Damnatio Memoriae. We self-recorded, hand-picked all the talent that was involved in the project, and we were heavily involved in the production of the album. We had the time and the means to spread the album via the different channels, and we didn’t want to wait longer until a label is ready to release Damnatio. TC: You have been through a lot in the past two decades. What has motivated to keep going through the years? WW: We are driven by our message and our passion for metal music. When you are passionate about what you do, nothing can stop you! TC: What about death metal and black metal appeals to you? AK: If I was a movie director and I am specialized in creating thriller movies – it doesn’t mean that I don’t like historic or action movies. Same thing with any musician who appreciates good music and doesn’t do it because he wants to look and sound badass. Dark somber and groundbreaking music appeals to me in metal as much as in classical music or industrial music. It just happens that black and death metal are the genres that give me a kick out of this world to keep going. WW: The sound of extreme metal clearly defines our past and the circumstances in which we were born. It rings in a familiar way which resonates with my soul. In addition to this, extreme metal asks very interesting questions and discusses important topics. Bands such as Immolation, Misery Index and Inquisition are a very good example. TC: What are your thoughts on the current state of metal? AK: I think metal will go mainstream in the coming two years again. People need an outlet to release the steam and there is no better form of music to let it all out. However, it won’t be like the 80s where metal heads looked like jobless bikers. This time it will be music for the Elite with more experimental music. TC: When you’re not listening to, writing or playing metal, what are some of your favorite albums to listen to currently? WW: I’m a big fan of all forms of dark music. My two favourite musicians and singers of all time are Tom Waits and Nick Cave. This week I’ve been spinning, on repeat, Your Funeral… My Trial. TC: Do recommend bands from the Middle East that the readers should check out. AK: Every single band who has put the effort and discipline to find each others, gather the energy and money to record material from the Middle East/North Africa under the circumstances of the region deserve a shout out! TC: What has been your most memorable concert so far? AK: Lebanon – Kalinka 2003! WW: Yes, that was definitely a memorable show but my most memorable concert would be The Netherlands at Complexity Fest in 2018. It was very interesting to play for a whole different crowd alongside major international bands such as Dodheimsgard and The Faceless. TC: You performed at the Complexity Fest in Netherlands earlier this year. Do you have any shows planned? AK: We intentionally did not plan shows this year so that we focus our time, energy and resources into releasing more amazing music early 2019 instead of wasting time on the road because we believe that at the end of the day music is what matters and the rest are just add-ons. TC: Thanks for answering all the questions. Do you have any final words?